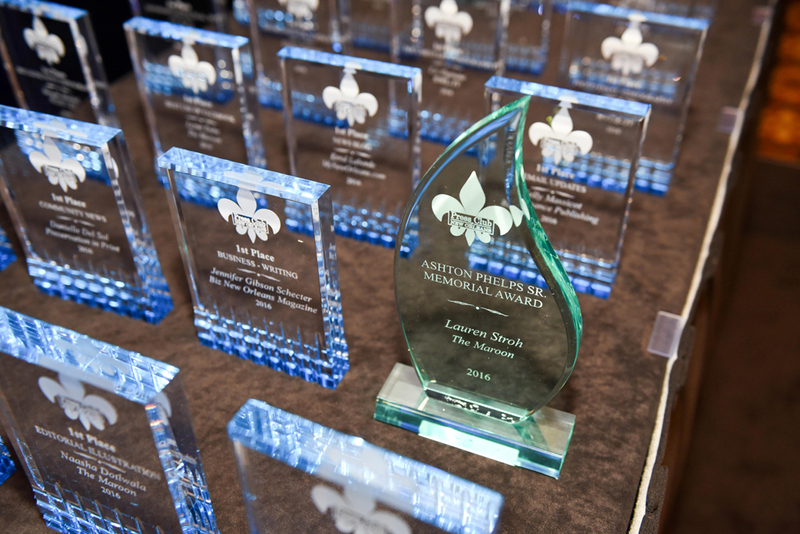 The Press Club of New Orleans is now accepting submissions for the 2019 Excellence in Journalism Awards. All entries must have been published, broadcast or posted on the Internet between Jan. 1 and Dec. 31, 2018. ALL ENTRIES MUST BE UPLOADED TO THE BNC WEBSITE BY 5 P.M. FRIDAY, APRIL 5, 2019. The competition is open to Press Club members who are working within the New Orleans DMA and involved in professional or collegiate journalism or Public Relations. Download full 2019 competition eligibility rules and categories (PDF). Download full 2019 competition eligibility rules and categories (Word). Click to enter the Excellence in Journalism Awards. All entrants must be a paid member of the Press Club to submit nominations for the annual Excellence in Journalism competition. Anyone submitting an entry must be a paid member by our deadline for entries, which is April 5 at 5 p.m. or your entries will be disqualified. If you have not already signed up or renewed your membership, you can still become a member by completing the online process. To access our membership page, click here. All entries are $25. Payment for awards submissions can be made online at the BNC website. When you are done submitting your entries, click on “Manage Entries” and in the upper right corner; click “Calculate Entry Fee.” This will give you the total amount you owe for submissions. You may submit your payment through PayPal. For questions about competition rules or eligibility, please email info@pressclubneworleans.org. Or, call Doug Mouton at 985-789-0311. We will respond as quickly as possible. Finalists will be announced at our annual meeting in June. Best wishes and good luck!